This is the fourth book by Sara Deutsch that I have read, and I must say that it’s also the one I like most. It seems to me that the author took all the amazing pictures she created together with Denise Ostler, and all the story ideas they have come up with until now, and put them all in this inspiring book. Actually, this is not just any kind of book. It is a collection of original fairytales that can change the reader’s perspective on life, love, happiness, purpose, and anything and everything that truly matters. I would say that “Violet Moon – Fairy Tales with Art to Heal the Heart” is more appropriate for older children. Every single story has a powerful message behind it. It is difficult to say which of them I liked most, but if I had to choose, I would have to go for “Tyla and the Warrior”. Why? Because the main character reminded me of someone I know, and while reading the story I couldn’t help thinking that she would have a lot to learn from it. As soon as I get the chance, I am going to tell her about this collection. Tyla is a woman who is always busy helping other people. She takes care of patients in the hospital, she adopts the pets that her friends no longer want, and she gets very little time for herself. She thinks that dedicating her life to solve other people’s problems should make her happy, but she is wrong. “Tyla and the Warrior” is a story about self-discovery and about learning that happiness means taking care of your own needs and problems. One thing that I noticed about Sara Deutsch’s fairytales is that most of them have as a central theme the journey. In “The Brave Tinker”, Ergo realizes that he is growing old and he’s never been on an adventure. In “Florasapiens – The Flower People”, Orchida goes on a journey because she believes there is something out there that can bring happiness to the Florasapiens by teaching them to see beyond the physical appearance. These are just two examples of how the author used this theme to show that in order to grow and learn people need to step out of their comfort zones and explore the world. 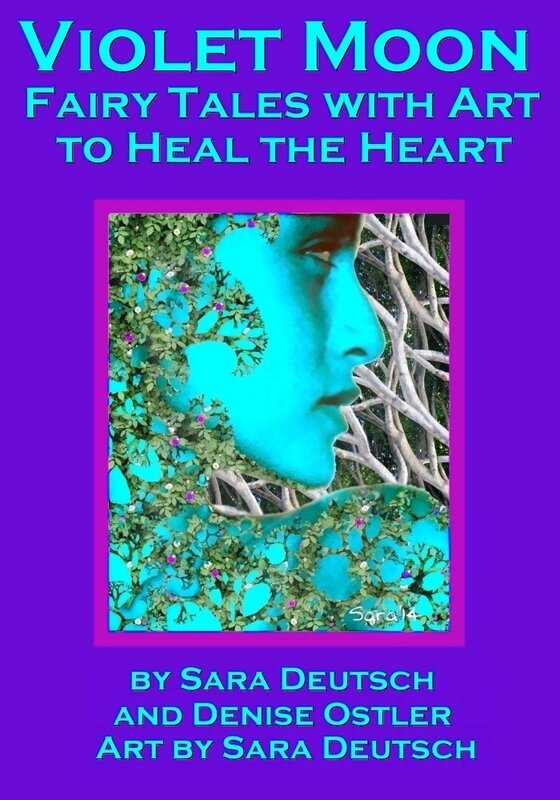 At the end of the book, readers will discover an entire chapter dedicated to exercises and techniques that can help them solve their problems and heal their wounds. 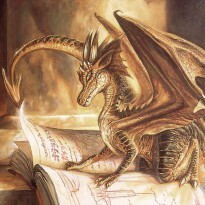 Each fairytale contains at least one of these exercises, thus giving an example of how they can be used to gain insight into your own emotions and deepest thoughts. My personal favorite is the one that encourages you to draw and write with your other hand. I can understand how your non-dominant hand is connected to the right brain and can reveal surprising information and long forgotten memories. This is one of the exercises that I intend to try. It’s easy to see why I think “Violet Moon – Fairy Tales with Art to Heal the Heart” will appeal more to older children. They need to have some background to understand the deep meanings of each fairytale, and complex concepts such as meditation and healing. Of course, the book can be read together with their parents, who can further explain these ideas and how they can use them in their own development. The illustrations are amazing! They are brightly colored and incredibly complex. I often caught myself staring at a picture for minutes, admiring the details and trying to understand the multiple messages the illustrator wanted to suggest.